The President of the Syrian National Coalition expressed his disappointment on Monday that the Obama Administration is not including the country’s opposition in its priorities. While the current “Administration believes that [Syrian President] Assad will not play any role in the future of Syria,” Hadi al Bahra told CNN’s Christiane Amanpour, it is putting far more effort into achieving a nuclear deal with Iran, a close ally of Damascus for decades. “This Administration, I think, puts much more priority on finalizing its deals on the nuclear program with Iran, and this has number one importance to it, while [the] Syrian people has paid two hundred thousand victims until now, and they see no action from the international community in response to these crimes committed by Assad himself,” al Bahra said. Amanpour asked the leader of Syria’s moderate opposition when the program to vet, arm and train the country’s moderate rebels, approved by the U.S. Congress in September, was expected to finally get off the ground. 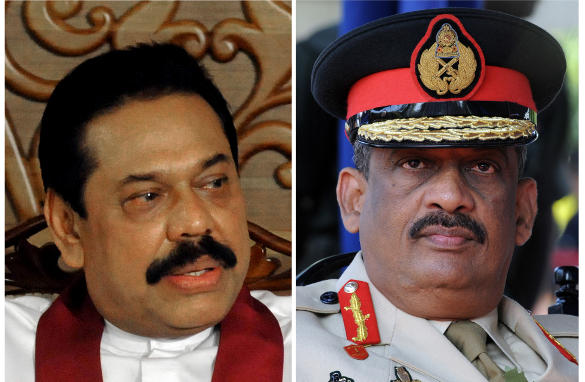 Left: Sri Lankan President Mahinda Rajapakse during a meeting at his office on May 18, 2009 Right: Then-Army Commander Lt. General Sarath Fonseka during a ceremony on November 9, 2008. By Elizabeth Joseph; Associate Producer, AMANPOUR. It is a pointed irony that Sri Lanka experts widely agree that the Tamil vote will play a decisive role in Sri Lanka’s presidential election. 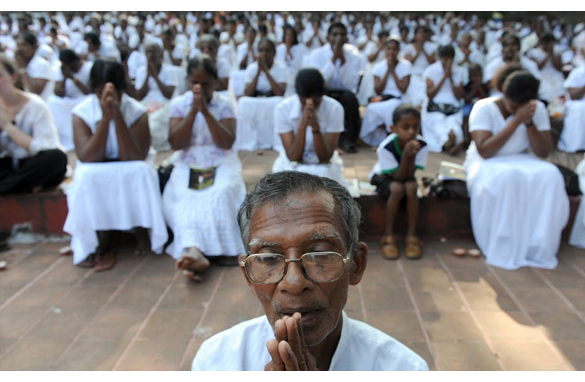 With the majority Sinhalese Buddhist community split between current President Mahnida Rajapaksa and retired Army General Sarath Fonseka, the architects of the Sri Lankan victory over the Tamil Tigers last May, all eyes are on the Tamil vote. D) Not vote at all. Colombo, Sri Lanka (CNN) - Sri Lankan President Mahinda Rajapaksa will seek a fresh mandate in the upcoming elections in the South Asian nation, but he is facing a tough challenge from his one-time confidante and former Army commander, retired General Sarath Fonseka. More than 14 million Sri Lankans will head to the polls on Tuesday to elect the island nation's sixth executive president to a six-year term. Buoyed by the military defeat of the Tamil Tiger rebels last year, which brought an end to a decades-long separatist conflict, Rajapaksa called the election two years before his term ends. In an unexpected move, his partner in military victory, Fonseka, joined the group of 20 other lesser-known contenders vying to replace him. Observers say the result could be a photo finish. Fonseka, who won wide acclaim for leading troops to military victory against the rebels, broke ranks with the Rajapaksa administration after he was elevated to the largely ceremonial post of Chief of Defence Staff in July of last year after retiring as Army commander. After Fonseka announced his presidential bid, the main opposition parties - with widely diverse political ideologies - closed ranks behind him to make him their common candidate.